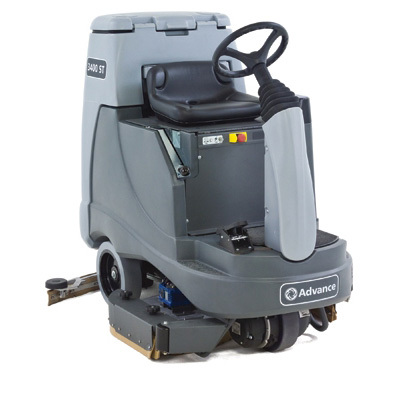 The NILFISK 2800ST is a battery powered riding floor scrubber. This unit went back to the basics with its manual controls for the scrub deck and squeegee to keep operation simple and easy to use. The simple design helps keep the cost of ownership low and training for all experience levels a breeze. The NILFISK 2800ST has an open operator compartment. This design allows the operator to get off and on the unit from either side as well as giving the operator a clear line of sight to the floor.